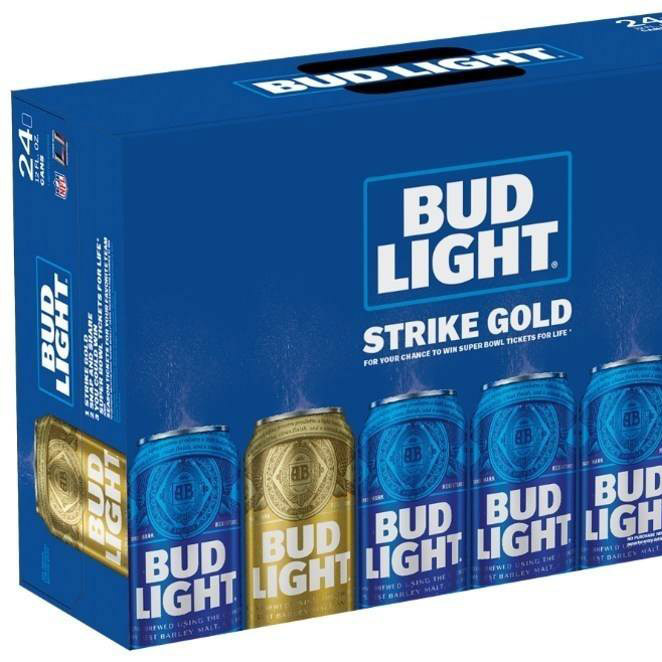 While the makers of Bud Light are no Willy Wonka, they've taken a page out of the strange, but lovable genius's book with their Strike Gold can campaign. If the hunt for an elusive gold can sounds daunting or your love for light beer isn't as strong, you can also log on to Bud Light's website, download a gold label, stick it on your own beer and take a selfie. Those who tag themselves with the hashtags #SBTix4Life and #Sweeps on social media will be automatically entered to win season tickets for the team of their choice. A final winner will be drawn for the coveted grand prize – Super Bowl tickets for the rest of their life. We're not entirely sure if football games are better than a lifetime supply of chocolate (and ultimately inheriting a chocolate factory), but hey, it's better than dying in a fizzy lifting drink accident.